Hideki Matsui is probably the greatest ballplayer ever to wear a Durham Bulls uniform so his retirement surely deserved to be noticed. Not that he was a great Durham Bull, but it was mostly fun to have him and his entourage around last year. Particularly interesting was the night that Daisuke Matsuzaka was pitching and Kevin Youklis was on 3B for the Pawtucket Red Sox. 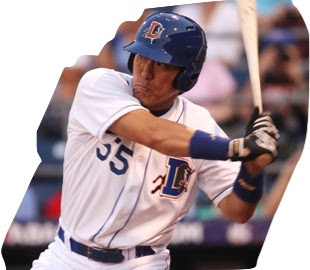 Regular readers will know that Alexander Torres simply hasn’t delivered as a Durham Bull. Steve Kinsella over at DRays Bay took a recent look at him as well. Arguments with umpires aren’t always quite what they appear to be. Rays manager Joe Maddon figures prominently in this story. Last seen in a Bulls uniform in early 2011, J.P. Howell has signed with the Dodgers. Rays Index has updated his 40-man roster/salary projection list. A good place to check on what a AAA ballplayer could be making. The Scranton/Wilkes-Barre Yankees (the New York Yankees AAA franchise) were without a home last year as their ballpark was being rebuilt. They are back and they have a new name: the RailRiders (how come every two word name these days has to be scrunched together into one word with a capital letter in the middle?). Not to be outdone with its awkward name, the team will have a porcupine as a mascot and the promotional folks are calling them the NEPA’s home team. NEPA? That would be North East Pennsylvania. The naming was an online vote. I was going for Trolley Frogs.